Lots of room for all of your family and friends. A total of 4 suites! Terrific lake home in a calm deep cove; great for kid friendly swimming. Mature trees shade the outdoor living area, low maintenance landscaping with a little yard for the pups. Nice lake views from the two additional decks. Parking for 2-3 in front of the house, additional parking in front of the second tier lot, either of the extra lots would work for a detached garage. All rooms and bathrooms have been recently updated. The top floor is a new apartment with 3 spacious suites, full kitchen and laundry. This could be rented as it is separate from the main level. Great community with trailer parking,a private boat launch, trash and water. Come visit today, this is a home you could be proud of! Personal Items And Those Not Listed On The Inventory. Extra Lakefront Lot To The Right Of The House And Second Tier Lot Convey. Furnishings Per Inventory, Two Well Dock With Lifts, Pwc Lift, Dock Locker And Pump. All Appliances. 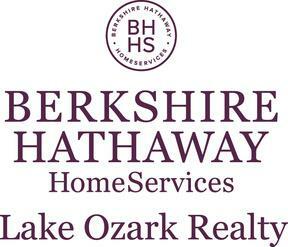 I am interested in 361 Old Oak Bend Dr, Sunrise Beach, MO 65079 (Listing ID # 3512788).